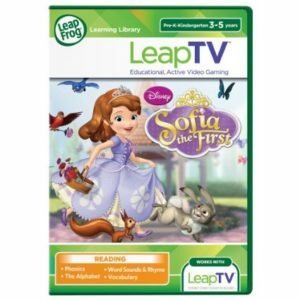 On Amazon right now you can get this fun LeapFrog LeapTV Disney Sofia The First Educational, Active Video Game for just $8.29 – a 59% savings! This will ship free with Amazon Prime or qualifies for free Super Saver Shipping with a $49 purchase. Next post: Save $1 on Ortho® Animal B Gon® Animal Repellent at Walmart!